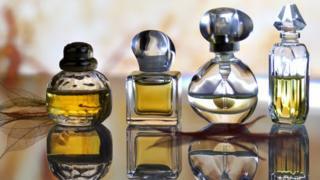 A lorry trailer containing £1.7m-worth of perfume has been stolen in Oxfordshire. Thieves hitched the trailer to their own HGV tractor unit which they had used to force open gates where it was being stored. The theft happened on 10 March between 22:12 and 22:22 GMT, according to the National Vehicle Crime Intelligence Service. The company that owns the perfume has offered a £30,000 reward. Police have not released the specific location of the crime but said the empty trailer was later found in the Midlands.